LeatherJacks' Mauro says We're Coming Because We Rock! 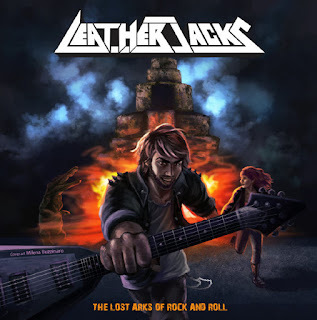 Modernized melodic hard rock heavy metal act LEATHERJACKS, made possible by Mauro Cordeiro, the singer, writer, guitarist, and multi-instrumentalist, had created this project turned band, which has only been active for only a year and still going stronger than when they first started out. They have since released one full-length album "The Lost Arks Of Rock And Roll", with another album in the works, with other plans in-store as well. The man behind it all of course, Mauro Cordeiro talks about the band, it's album, and future. 1. Help us get to know a little bit more about the band. How did you meet and get started in metal? Mauro: Hello Nat, hello everyone! It´s an honor to be here, and to tell a little about my story! I started out when I was 9 to 10, playing my uncle´s acoustic nylon guitars, actually only one string, with my middle finger haha! I remember myself playing Peter Gunn´s Theme, only with one string... Funny! I got initiated in metal via an old buddy in school, who introduced me to Iron Maiden and Bon Jovi... Loved both at first sight! I´m a huge Maiden fan, and also a huge hard rock fan. I think that´s the moisture that sculpted nowadays´s Leatherjacks style. 2. Tell me about Leatherjacks, why did you decide to name the band with such a title? What kind of ideas did you explore prior before making your decision? Mauro: I was searching for lots of names... Actually I tried some names even using online name generators haha! There were Hawks, Leatherhawks, Spinhawks, I was obsessed by "leather" and "hawks" words! Then I remembered I had a brown leather jacket. And all of a sudden, the light upon my head popped out, and I thought: "wow, that´s the name! Leather Jackets". But I shortened it to Jacks, ´cause visually it has less letters, and Jacks can also be interpreted as a name. So I really got happy for my "discovery"! 3. The band has only been active for only two years, releasing their first full-length album entitled "The Lost Arks Of Rock and Roll", to rave reviews. What goes through your mind thinking that you just started, yet you are already here at this point in time of your career already? Mauro: It´s extremely satisfying, Nat... ´Cause, you know... Unfortunately, I come from Brazil. It´s a country that never took heavy metal, rock´n´roll and hard rock 100% seriously, you know? So to me... Reaching the point I´m reaching in this short amount of time (1 year and a half to be more precise) is a blessing. I mean... I do all my production, mixing, mastering, media, promos, ads, pics, website, all by myself, you know? Things are very expensive and abusive here. 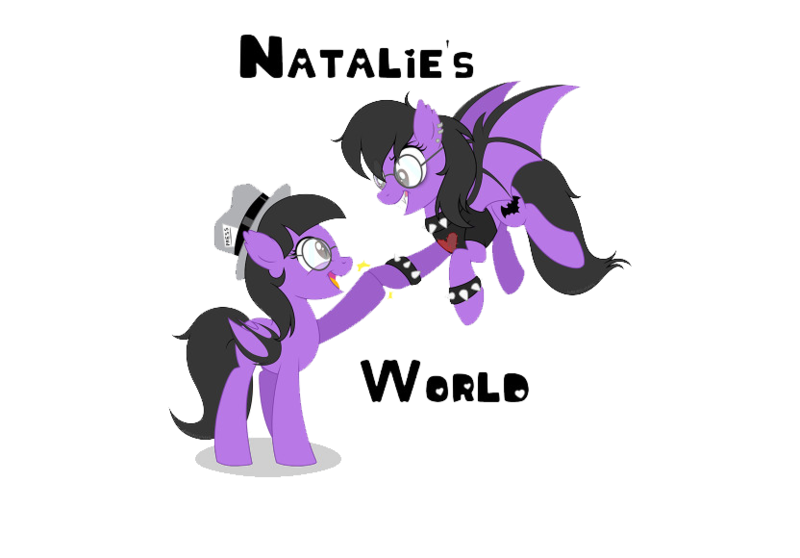 So...It´s amazing to meet fans, know people around the world, talk to lots of cool people and make new friends (such as you! haha). So, I mean... My music´s been more than only playing, writing, recording, and promoting myself. It´s like a family, and people who are always talking, commenting, following, interacting to me and to Leatherjacks. So that´s the main achievement and prize anyone in music can have, and I feel extremely blessed and happy for being such a lucky guy up to this point, and I hope every time more and more! 4. Off that album came the first single "Burning Wire", disclose the matters about the meaning of the song? Mauro: The matters and the meaning of the song "Burning Wire" is like that passion´s fire that burns inside of us. We kinda waste our hearts on lots of people who don´t worth a dime, you know? So the lyrics are basically about the delusions caused by love and passion, but told in a "Food Recipe" structure, such as it was the "Perfect Disaster Recipe". It´s like: "Pinch some parts of Delusion, and mix with 200 grams of angryiness, and blablabla" haha! It was a funny song to write, despite I really had to dig deeper into my delusions (yes... It´s autobiographic, unfortunately haha). 5. What about the accompanying video for the same song, what concept went into it and will there be any other tracks to come from this album? Mauro: Actually the concept for the video came from my friend and photographer Caike Scheffer. We were actually doing a photo session at the studio, and I asked him if we could improvise a video. He said: "Man, you´re crazy, but let´s try!". It was extremely funny and actually we did all in some 15 minutes long, filming 3 times in different camera angles, you know? And the coolest part of that, was the most spontaneous stuff made me be the most surprising! No concepts for this video, ´cause I still didn't have the band line-up at that time, and actually I was only trying my best to share my image, and at least to have one video register of myself haha! I´m thinking about maybe working on some lyric videos or something. But for now, still no resources ($$$ haha) to work on new videos... But it would be amazing if I could have the song "People", "Crocodile´s Heart", "Leatherjacks" and "The Slammer" made as videos! 6. While this album has been out for some time now, does Leatherjacks have anything new in the works as far as music? Mauro: Yes! Now that I have a solid line-up, and we´re only missing a drummer. But I´m working on our second album. It will be entitled "Songs For The Strangest Ones", and I´ll be also releasing some singles, such as "Persona Non Grata", "Taured" and "Spells And Zombies Through The Night" - This album will have a more "Stranger Things" series or B-Movie vibes theme approach, you know? So hold on, Jackers! I think there will be amazing upcoming works! 7. Would you say that there may be some other projects in the hole, that you may want to discuss with us? 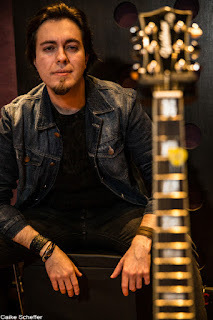 Mauro: Actually I´m thinking about promoting crowdfunding, for us to be able to record our 2nd album more professionally (I do it all at my little and modest home studio). So it will be amazing if we have better quality recording and mixing. 8. What is the best way to define Leatherjacks sound? 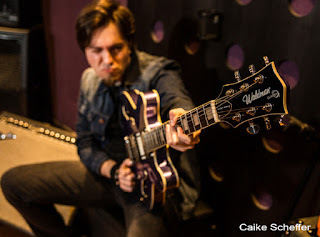 Mauro: I think it´s something that divides itself between constant opposites: Raw and Pure, Vintage and Modern, Heavy and Light, Pop and B-Side... You know what I mean? I feel it´s a constant kind of "good conflict" in harmonies, lyrics and melodies that always creates this borderline, or this palette of genres, and I think that´s the main pillars of Leather. 9. Why did you want to go forth and play this particular genre of music in the first place? Mauro: I have always loved metal, rock and guitars since I was 10. It´s in my blood, in my soul... Tried to run from it, but it´s stronger than me! Mainstream pop music isn't intelligent. It only defecates futile stuff. And I always ran from it. Not only in music, but in all aspects of my whole life. So I found myself in rock and metal. Deep lyrics, sci fi, poetry, medieval stuff, culture, lyrics that really makes you think and reflect, you know? That´s why I love that! 10. How do you feel about the rock and metal scene there in your country? Mauro: Sorry. When I read this question... (sigh) I´m crying here (sigh). Hahaha! I think it answers all haha! 11. Tell us something more about the latest album "The Lost Arks Of Rock and Roll". Mauro: It´s an album done by one simple guy, who wants to share his passion for music and rock! I really urge to be heard and to deliver all this passion for everyone around the world. It´s like my first son, my masterpiece, I think it has 9 of the coolest songs I've ever wrote in my life. The coolest thing is that it is 39 or 40 minutes long, but it´s such cool song sequence, you don´t even feel it. Suddenly the album stops and you want to play it all again! I think these are the coolest works, always! So, just like I said previously... I´m extremely blessed and lucky for making this album and this dream real, and I really wanna share with you all, guys! So let´s rock! Mauro: Ah... may God permit we can play at Wacken, Monsters Of Rock, PinkPop Festival, Sweden, Europe, touring the world out! It´s a real lifestyle me and the guys dream every second of our lives! 13. When it comes to CD'ss, cassettes, vinyl and MP3's which do you prefer? What is your current/preferred way of listening to music? Mauro: I love CD´s and Vinyl! Mp3´s don´t have audio quality, despite it having playing facilities in any device. Cassettes always makes me fall in love for it, ´cause I remember all of my teenage life, recording tapes from borrowed CD´s. I still have´em here haha! 14. What are your plans for the band, for the remainder of 2018? Mauro: We´re about to find a great drummer and to record our new album. That´s the main plans for now, but we also want to try to play in gigs and touring, ´cause now I can say I´m ready, with this line-up, you know? So let´s see what life´s reserved to us! 15. Is there anything else that you would like to let your fans in on? Mauro: Jackers, we rock, and just like "Leatherjacks" song mentions: "WE´RE COMING". So stay tuned, and let´s rock!